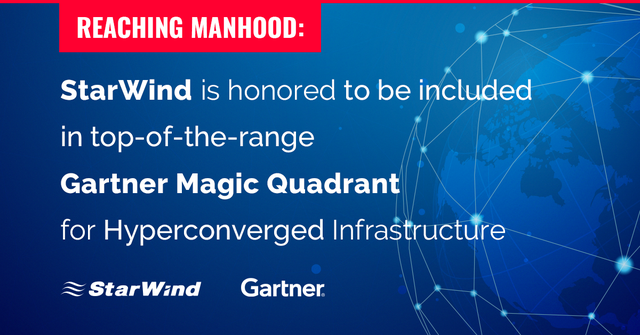 (PRLEAP.COM) StarWind was named a Niche Player by Gartner in its 2018 Magic Quadrant for Hyperconverged Infrastructure for its completeness of vision and ability to execute. 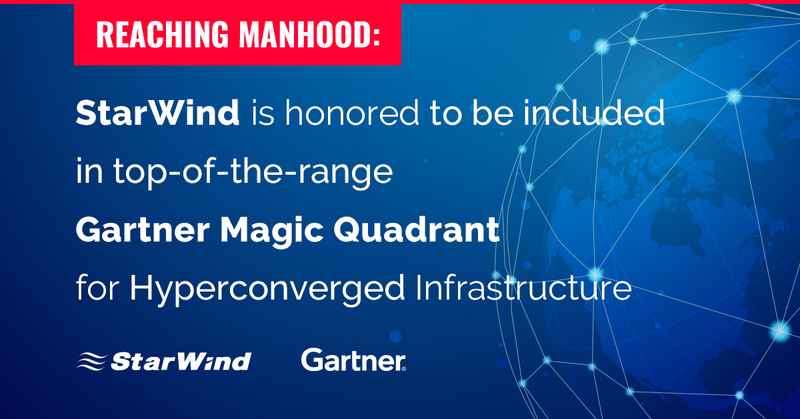 StarWind believes this recognition to be a result of putting a lot of effort into developing flexible and high-performance hyperconverged solutions tailored to satisfy their customers’ evolving expectations for IT environments. StarWind’s HCI offering includes StarWind HyperConverged Appliance (HCA), StarWind Virtual SAN (VSAN), and StarWind Virtual Tape Library (VTL). A Gartner Magic Quadrant is a culmination of research in a specific market, giving a wide-angle view of the relative positions of the market’s competitors. Gartner analysts evaluate technology providers on their ability to convincingly articulate logical statements about current and future market direction, innovation, customer needs and competitive forces, and how well they map to the Gartner position. StarWind is a virtualization pioneer focused on delivering Software-Defined Storage and HyperConverged Infrastructure solutions designed to build high-performing, flexible, and resilient IT infrastructures for SMB and ROBO. Founded in 2009, StarWind has spread remarkably over the globe and helped to build virtualization infrastructures for over 140,000 free users and more than 4,000 paying customers around the world.